It’s hard to sum up your child in a way that others might know him a little. Francis is the oldest of our 4 children and the linchpin of our family. Francis is 14 years old. 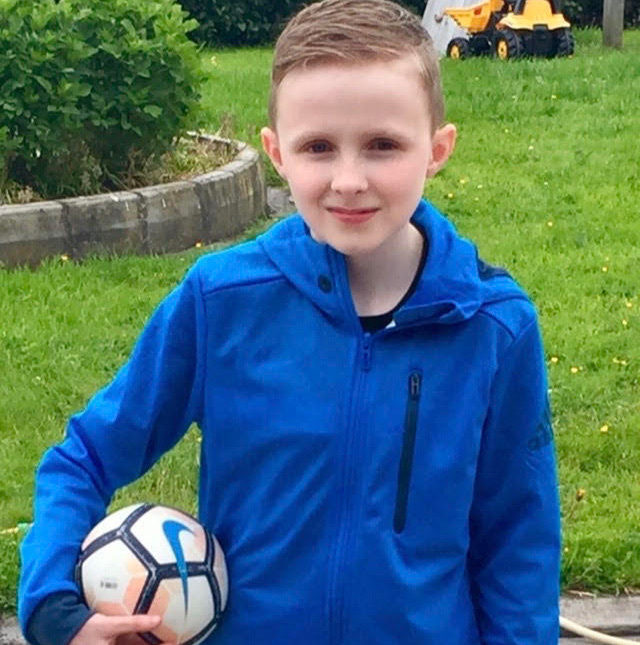 We received the devastating news that he had a brain tumour in November 2018 after he underwent brain surgery in Temple Street hospital. Francis health and vitality had gradually declined over 2 years as the tumour shut off all the functions of his pituitary gland leaving him with panhypopituitarism, a condition which sapped him of all his energy, unable to complete a week at school without great difficulty and which stopped him growing. It is a condition that will affect him for the rest of his life. Francis was always a very bright and lively boy with great aspirations for his future and was always involved in all things both sporty and academic. He especially loved running but sadly this became impossible as his declining energy made it difficult for him to do the simplest tasks. Francis is often described as a boy who is wise for his years and always thinking of others. He demonstrated his true grit and love for life as he underwent surgery and chemotherapy with a determination that inspired all those around him. His selfless nature saw him set about a fundraising effort in December last year as he coordinated Christmas Jumper Days with his local national and secondary school and raised almost €3000 for the children’s medical research fund. The support we have received from friends, neighbours and teachers has been truly overwhelming. We’re also blessed to have extremely supportive and loving family around us who have been there through many tough times. Without all these people the last couple of years would have been so much harder. We learned that Francis rare tumour was very sensitive to the chemotherapy when an MRI in March this year revealed the good news that the tumour was gone. But if we wanted to ensure it wouldn’t return he would have to undergo a number of weeks of proton beam therapy at a clinic in Essen in Germany. 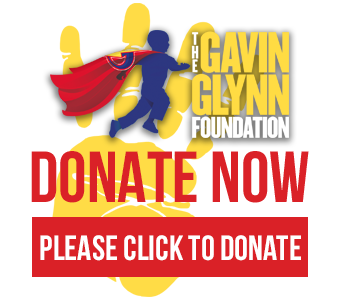 Very fortunately we had learned of the Gavin Glynn foundation from another family who had been through a similar experience a few of years ago. One text to John immediately put my mind at rest as he told us that not only would the foundation take care of the financial costs of travel and accommodation but that we could stay together as a family. We were so relieved to learn that we could all be together as the thought of leaving my younger children behind was unbearable. They had been through so much upset and upheaval already. Thanks to John my husband and son have been to Essen for their preliminary visit and we are due to travel out together very soon to undergo the treatment that we hope will help see Francis back on the road to recovery. He can’t wait to get back to school and swimming and do all the things he once enjoyed. We we forever grateful to John and the Gavin Glynn foundation as without him this task would have been simply overwhelming. Heartfelt thanks from us all.